White Jade is a calming, grounding Nephrite jade that also protects the wearer from negative energies. It brings peace, harmony and luck. White Jade is also wonderful in the decision-making process, as it blocks distractions, allowing for the best results to reveal themselves. 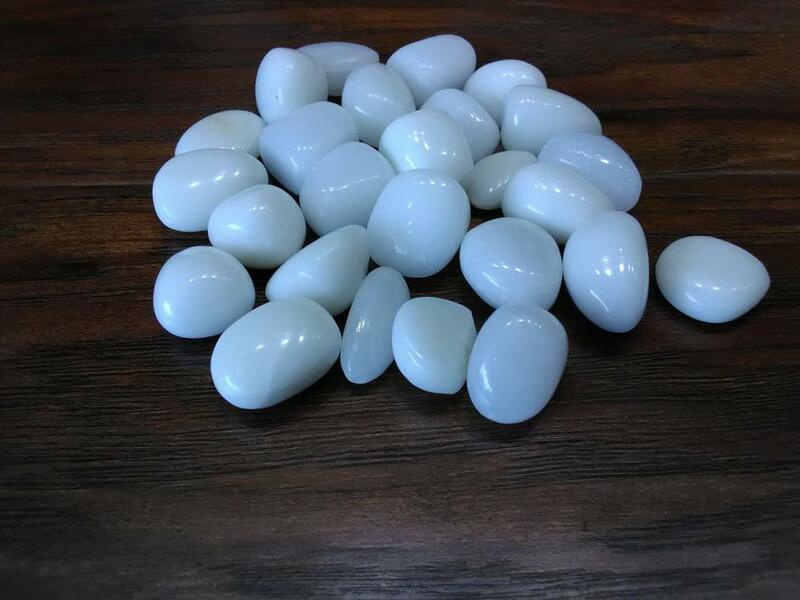 White Jade assists the body to heal itself, helps with bladder and kidney problems, and eases the pain of arthritis and other joint illnesses, especially in the hips. White Jade also helps with fluid retention, high blood pressure and imbalances in blood sugar levels. Size: 3/8" - 1 1/8"